It was honestly hard to decide which aspect of Samsung Galaxy A50 was the best one as far as its design goes. Because there are so many of them. Samsung Galaxy A50 sports a 6.4-inch Super AMOLED display, that is simply brilliant. 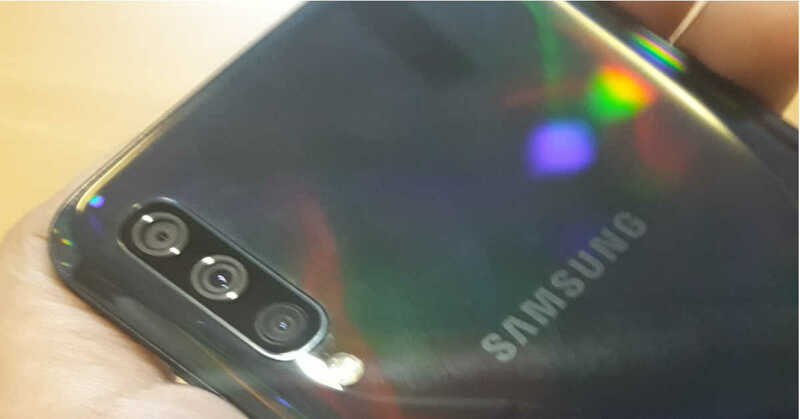 And if you flip over, you will see that the back panel of the handset refracts light into a rainbow-like pattern, making it look extremely beautiful. Let’s talk in detail about both before we declare a winner. newest trends. We should point out that the chin is slightly broader, but then, at this price point, it’s not a very big deal. The fact is that Samsung has tried to make the smartphone look very contemporary and has succeeded in doing so. Samsung Galaxy A50 comes with an in-display fingerprint scanner, and we’ll talk about its performance later. Although the material used in the smartphone has not been disclosed, it is speculated to be plastic or polycarbonate. The handset has curved edges and even the back panel is slightly curved, which definitely helps one-handed usage. Samsung Galaxy A50 is available in three colours in India – Black, White and Blue. The unit that we got for review was dressed in Black. 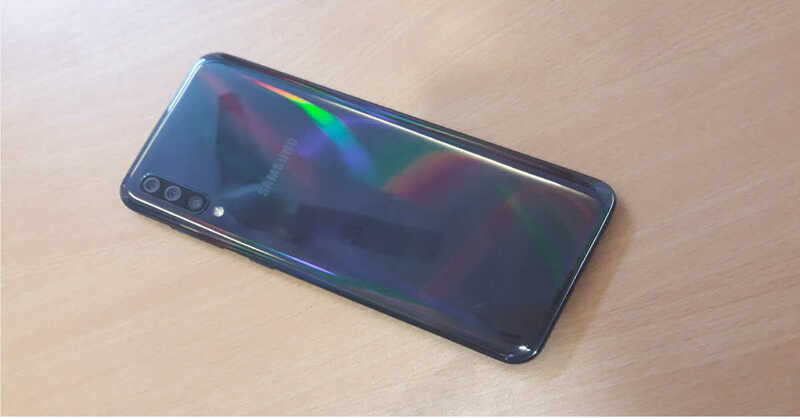 Although the company says that it is Black, it looks more like Grey and the back panel of the smartphone refracts into rainbow patterns. Besides this, the back panel of the Samsung Galaxy A50 also houses the vertically stacked triple rear camera setup on its upper left corner and an LED flash lies right below it. There is also a Samsung logo on the back panel of the smartphone. The power and the volume rocker buttons are placed on the right edge of the device and the SIM tray is housed on the left. The bottom edge of the Samsung Galaxy A50 has a USB Type-C port, a 3.5mm headphone jack and a speaker grille. To conclude, we will say that the overall look and feel of the smartphone is great. The built is solid and the device looks very premium. One handed usage was a cakewalk on the Samsung Galaxy A50 we didn’t find the smartphone to be slippery at all. Although we couldn’t decide whether the screen is the best aspect of the smartphone’s design or the back panel that refracts light into rainbow patterns is, we should say it’s most definitely a tie. Coming to the display of the smartphone, it projected rich colours that stayed consistent at all viewing angles. 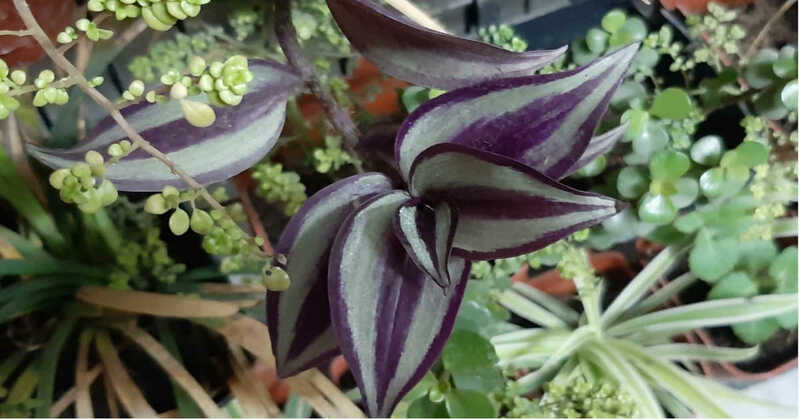 Some may feel that the colours were a little saturated, but we found them to be perfect for our taste. One of the key highlights of the Samsung Galaxy A50 is that in addition to turning the Bluelight filter on for eye-protection, users can also switch on the dark mode, which seriously helps in saving battery. We watched a lot of content on YouTube during our time with the device, and we really enjoyed doing so. The images appeared crisp and the device could even play videos at 1080p well. The sunlight readability of the smartphone could have been better. But if we have to sum up the display, we would definitely say that it is one of the good aspects of the smartphone. Samsung Galaxy A50 is powered by Exynos 9610 SoC clubbed with 4GB RAM or 6GB RAM. The smartphone comes with a triple rear camera setup comprising of a 25MP sensor with auto-focus and f/1.7 aperture, a 5MP sensor with fixed-focus and f/2.2 aperture and an 8MP sensor also with fixed focus and f/2.2 aperture. For selfies and video calls, there is a 25MP sensor with fixed-focus and f/2.0 aperture. Samsung Galaxy A50 handset comes with 64GB storage and can support a microSD card of up to 512GB. For security, there is an in-display fingerprint scanner and the device has support for a face unlock feature. Samsung Galaxy A50 houses a 4,000mAh battery and runs One UI based on Android 9.0 Pie. We’ll begin by talking about the One UI. For starters, One UI is definitely an improvement over Samsung’s Experience UI in terms of the look and usability. The text and icons on the device are bigger than before and in general, it looks cleaner than Experience UI. It may take a little bit of time to get used to, but we definitely found it better than Experience UI that we have used on other Samsung devices. The changes may look minute to some, but they are certainly very useful ones. For instance, the back button has now been placed at the bottom right of the smartphone screen, since that is where our thumb usually is when we are scrolling down in Settings. There is also an option of disabling the app drawer completely and users can also decide whether to open it using a swipe or a tap. The more you dig into the sub-menus of the Settings, the more options you will find. One UI is definitely a breath of fresh air after using Experience UI for ages. As we mentioned earlier, the option of enabling Dark mode is also there and if you think you spend too much time on your device, you can restrict yourself using Digital Wellbeing. The handset also comes with Samsung Pay Mini for carrying out UPI transactions. One thing that was a bit of pain, was that Samsung Galaxy A50 sends too many notifications and it comes with some bloatware. The additional apps on the handset include Amazon India, Dailyhunt, Microsoft Office and LinkedIn. Some of them can be removed or disabled. Most day-to-day tasks ran well on the smartphone. While the device could handle most of the tasks well, it wasn’t exactly a great multi-tasker. When we tried using the device for navigation and watching videos at the same time, the smartphone started heating up. The same happened when we tried downloading too many apps together on the Samsung Galaxy A50 smartphone all together. Gaming gave a similar experience. While games like Alto’s Odessey and Temple ran smoothly, the same cannot be said about heavier ones like Asphalt 9: Legends. Coming to the fingerprint scanner of the smartphone, its recognition was a little slow. And this was particularly true if our finger was moist. However, the face unlock makes up for it since it was very accurate even in dimly lit areas. The battery life of the device is one aspect of the Samsung Galaxy A50’s performance that we really liked. With normal usage, the battery easily lasts more than a day. During this time, we watched videos, clicked photos, used the smartphone for navigation and listened to music. 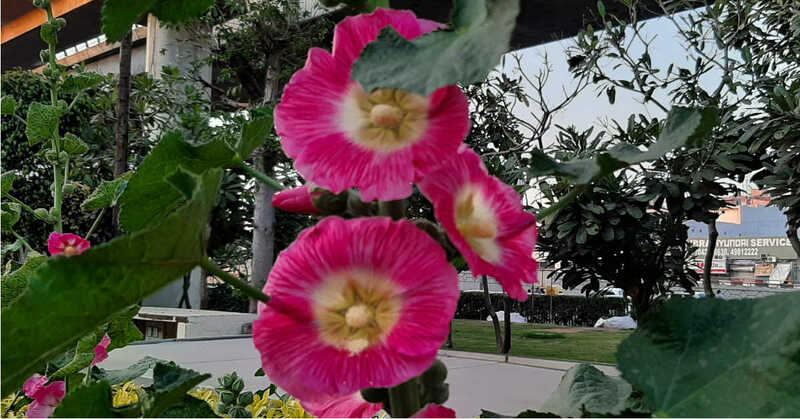 Coming to the cameras of the smartphone, we have to say that we are very impressed with them. 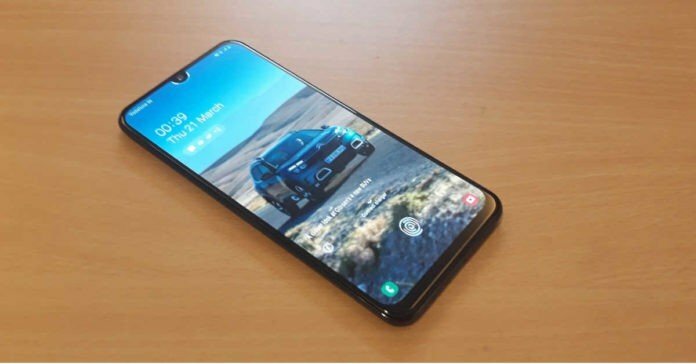 As we mentioned earlier, the Samsung Galaxy A50 has a triple rear camera setup that comprises of a 25MP sensor, an 8MP sensor and a 5MP depth sensor. For selfies and video calls, there is a 25MP sensor on the front panel. The camera app of the smartphone comes with a Live Focus mode for portraits, slow-motion video mode, Hyper-Lapse mode and timelapse. The camera app also comes with intelligent scene optimization. You can easily switch between all of these from within the app and also use the Bokeh effect that will give you some very nice shots. 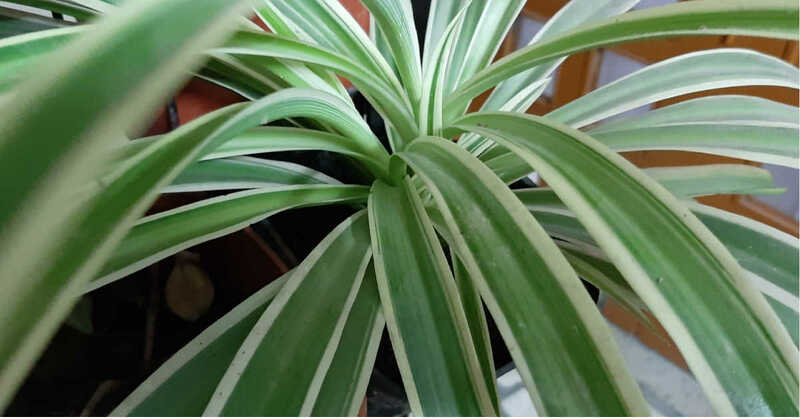 The images taken from Samsung Galaxy A50 turned out to be really good. In the day time, the images taken were sharp, the colours were rich and there was a lot of clarity and detail. We liked the performance of the wide-angle camera too, but we have to admit that the quality was slightly lower than the images taken from the primary camera. Another thing that we should point out is that when you transfer the images taken to a laptop, not all of them look as great as they do on the smartphone’s screen. Night photography could be better. The images taken in dimly lit areas lacked details and were not as clear as the ones taken during the day. The selfie camera of the Samsung Galaxy A50 worked very well. We clicked a number of selfies with it, and in some of them we even turned on the live bokeh mode. The self-portraits from Samsung Galaxy A50 turned out to be really neat, in well-lit as well as in dimly-lit conditions. When we ran benchmark tests on the smartphone, it scored 1,726 and 5,592 in single and multi-core scores of Geekbench and 1,44,145 in Antutu. The price of Samsung Galaxy A50 smartphone begins at Rs 19,990. While the device is amazing in terms of looks and has a vibrant display and a lasting battery, certain aspects of its performance could have been better. For instance, we would have liked to see the smartphone not heat up when we tried to multi-task with it. If design, display and battery are important to you in a handset, Samsung Galaxy A50 would not disappoint you. However, if your usage is too heavy, you may not be too happy with it. For the latest gadget and tech news, and gadget reviews, follow us on Twitter, Facebook and Instagram. For newest tech & gadget videos subscribe to our YouTube Channel. You can also stay up to date with the Gadget Bridge Android App.